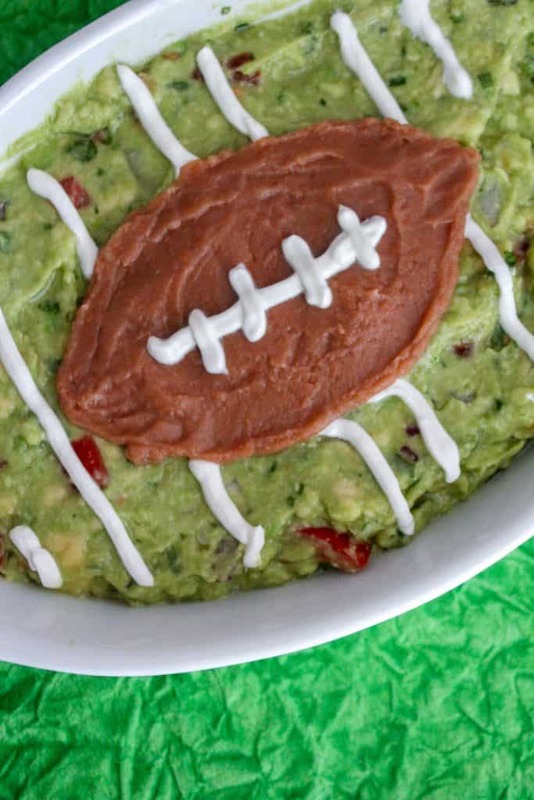 If you are looking for the perfect appetizer for watching football with the guys, you’ll love our football shaped game day guacamole. 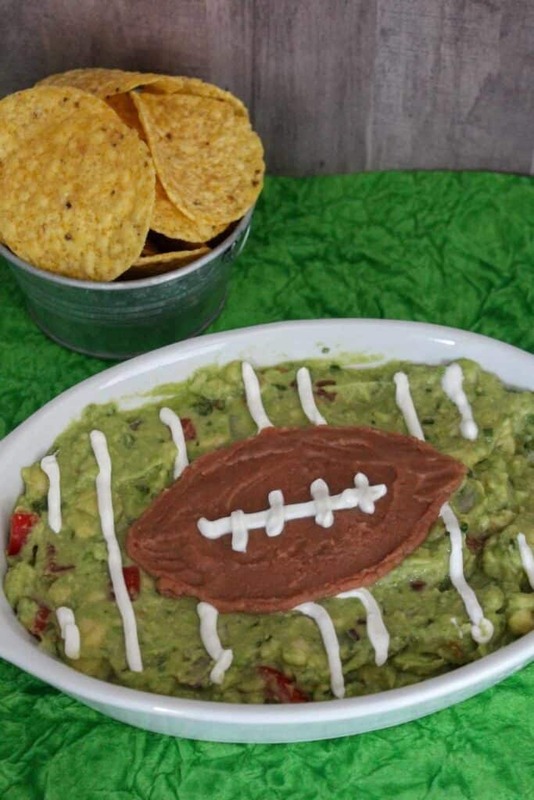 I don’t know about you, but when it comes to football, I am more about the food than the game. I enjoy watching a good game of football and I love being surrounded with friends and family, but I love food. Game Day food is important because often you spend the day watching football and friends with a plate of food in your hand. There are so many great game day recipes like Air Fryer Mac and Cheese Balls, meatballs, Cheese queso and Jalapeno bites. You might even want to put up some football decorations to get into the football spirit. Its time to cheer on your favorite team! Crock pots and air fryers work great for game day recipes. Crock pots are fantastic because you can leave your food on low and it keeps it warm during the game. Air fryers are nice when you want all the flavor but a little less of the fat. There are so many great football recipes for both options. 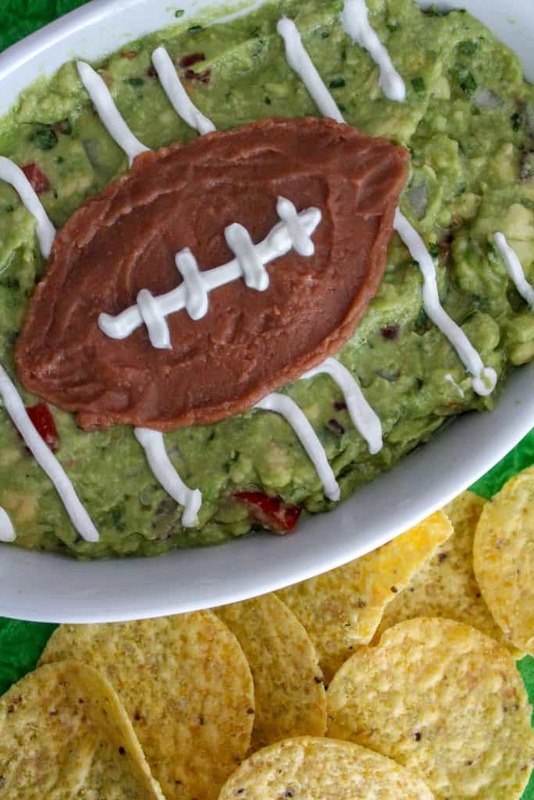 This Game Day Guacamole is a really fun recipe. 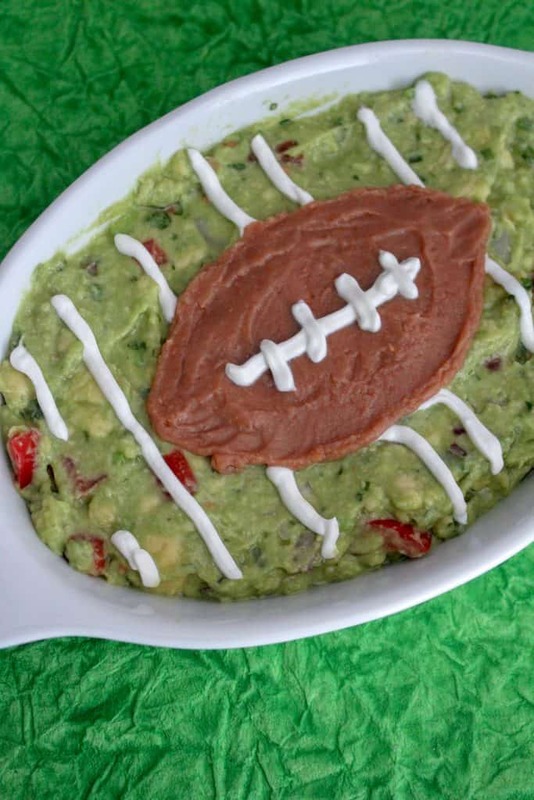 Not only are Guacamole and Chips a game day favorite, but you take the recipe to the next level making a football out of refried beans. Not only does it taste delicious, but it looks pretty cool, too! Go team! 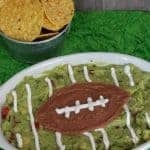 If you are looking for the perfect appetizer for watching football with the guys, you'll love our football shaped game day guacamole.